A few months ago Alekka began an internship at CARE Ethiopia’s downtown office. Her job on Tuesday and Friday afternoons is to edit stories for publication in the NGO’s newsletter. 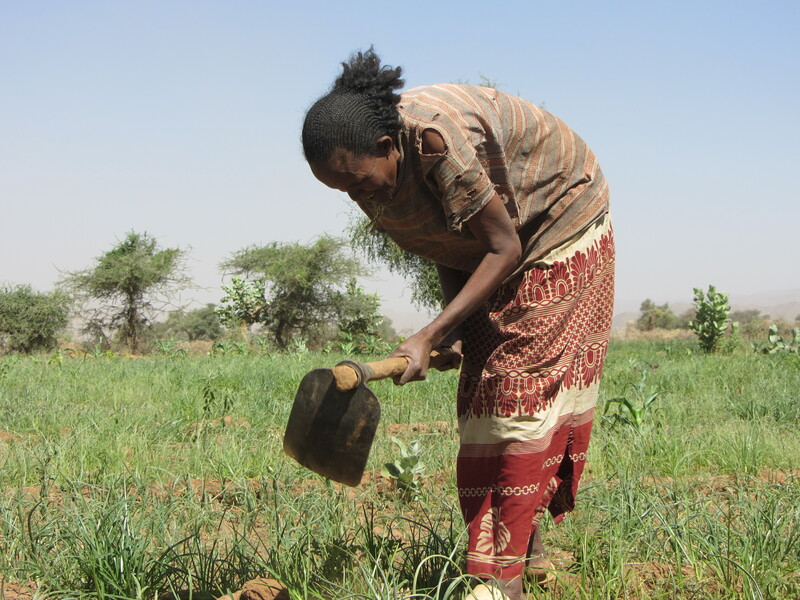 CARE’s projects in Ethiopia focus on teaching modern farming methods (OK, modern is a relative term) and on granting microloans for agriculture, with an emphasis on empowering females. Teach a (wo)man to fish and all that. The Kebele level group is more responsible to identify model village value chain groups as well as to scale out into other same groups. On the other way, this group will act as linking point of village level FEMAs at Kebele level. On its meeting, a special supports will be facilitated from technical person. The kebele level group is responsible for identifying model village level FEMAs. The kebele level FEMA also provides support and acts as a linkage facilitator between village level groups. Technical experts offer special support at kebele level meetings. But most of the pieces Alekka has been editing so far are personal success stories coming out of the rural projects. She occasionally runs a story by me before submitting it, and it has been quite interesting to learn more about rural life from this perspective. One thing that is hard for me to wrap my head around is how little actual cash it takes to improve quality of life. According to the World Bank, the annual per capita income in Ethiopia is $410. Many of the people involved in CARE’s projects here are basically subsistence farmers who grow food for themselves. Any extra is bartered with neighbors or sold for a few birr in the village. Most people have never saved any money at all. This may sound like a carefree rustic existence, but when there is a drought, a bad crop, or if a worker is sick or injured, then it can mean disaster and starvation for the family – not to mention lack of education, health care, and all that stuff that takes cash to access. Many families have had to rely for a long time on international food aid to get through the lean times, and it is one of CARE’s goals to graduate families from this dependence. The monetary loans that CARE provides in conjunction with USAID seem tiny – maybe the equivalent of $100 or $200 for a round (a crop cycle or the time it takes to raise a calf to marketable size) but combined with training these loans can make a tremendous difference in the lives of rural Ethiopians. CARE teaches participants how to increase profits through efficiency and about using loans to invest in capital, as well as about the importance of saving money. CARE provides structure for community groups dedicated to decision making and leadership, where successful farmers can become teacher-leaders in the community. The NGO encourages gender equity by enabling girls to get the education that increases their long-term prospects for earning and independence, and by increasing women’s status through economic power and community leadership roles. CARE discourages child marriage and FGM. Our school year is almost over, but Alekka hopes to continue working for CARE via email during the summer. This entry was posted in Around Ethiopia, Ethiopia, Family and tagged Alekka, Volunteering. Bookmark the permalink.